This issue of the blog is heavily peppered with Electronic Intifada article. This excellent website is a must for all who are interested in Palestine and has been doing a most admirable job over many years, led ably by Ali Abunimah. You are well advised to use its RSS feeds, hence always being informed of the latest articles. Spanish National Court judge Fernando Andreu announced Monday that he will pursue his investigation into a 2002 Israeli bombing in the Gaza Strip, despite contrary advice by prosecutors at the court. The prosecutors had argued that the attack, which killed Hamas leader Salah Shehade and 14 others, was still under investigation by Israel. Andreu said that did not appear to be the case and, even if it were, the Spanish judiciary could simultaneously investigate the charges because they could be classified as war crimes. The National Court has become known for its inquiries into alleged human rights abuses in other countries, ranging from Chile and Argentina to Tibet and Western Sahara. The suspects named by Andreu include former Defense Minister Benjamin Ben-Eliezer and six current or former army officers or security officials. The probe is based on a complaint lodged by a Palestinian human rights group at the National Court. The case has created some tension between Spain and Israel. The Spanish government told Israel that it planned to limit the possibilities of Spanish courts to investigate possible human rights abuses in other countries. Five young children cling to their mother. All of them are crying. This morning, without warning, Israeli bulldozers came to destroy their home in Jabal Mukabar area of East Jerusalem. Speaking amongst the mangled remains of her house, Samia Ihdaidoon says she was still sleeping when Israel’s police arrived. Israel says the Ihdaidoon’s house was demolished because it was built illegally. Angry neighbours congregate in the rubble. Osama Zahaika told us Israel makes it almost impossible for Palestinians to get building permits in East Jerusalem. “As a Palestinian I know why they do it. Israel doesn’t want us here. My house, most of the Palestinian houses in East Jerusalem are illegal. Not granting us construction permission, demolishing our houses. It’s a form of quiet transfer,” Mr Zahaika says. How do Palestinians living under Israeli military occupation and siege see their world, especially after Israel’s massacre of more than 1,400 people, mostly civilians, in the occupied Gaza Strip three months ago? Two recent surveys shed light on this question, although one — published on 22 April by the pro-Israel organization One Voice — appears intended to influence international opinion in a direction more amenable to Israel, rather than to record faithfully the views of Palestinians or Israelis (“OV Poll: Popular Mandate for Negotiated Two State Solution,” accessed 30 April 2009). The other — a more credible survey — was published in March by the Oslo-based Fafo Institute for Applied International Studies and funded by the Norwegian government (“Surveying Palestinian opinions March 2009,” accessed 30 April 2009). The press release failed to note that 53 percent of Palestinians polled were also willing to embrace or tolerate “one joint state” (as opposed to a federated “bi-national” state) in which “Israelis and Palestinians are equal citizens.” Curiously, Israelis were not asked about this option. The high-level of potential support for a single democratic state (confirmed by Fafo as we shall see) is remarkable given the incessant drumbeat of peace process industry propaganda that there is no solution but the two-state solution. One Voice asserts that a “very conscious effort was made in this poll to cover as wide a range of potential solutions as possible.” But except for the initial question about the type of state, all the other questions assume, and are primarily relevant to, a two-state solution. Colin Irwin, of the Institute of Irish Studies at the University of Liverpool, who authored the One Voice poll, has written that his techniques were used to help politicians shape political agreements in Northern Ireland and the Balkans. The method consists of using polls to “explore” opinions on each side of a divide and find areas where there is consensus and on which an agreement could be built. Such an approach might have some relevance among two equal communities, but the way he has applied it here merely legitimizes and obscures the radically unequal power relations between Israelis and Palestinians rather than providing a way to transcend them. As the Palestinian Authority turns more and more to dance to the Israeli/American tune, it turns more authoritarian… no surprises there. More and more stories on this turn of events, as the regime on both sodes of the fence become similar, at least in their methods. Last week, less than two weeks after I had talked with him in his an-Najah University faculty office, Abdel Sattar Qassem was arrested by the Palestinian Preventive Security forces in Nablus, occupied West Bank. Qassem is a 60-year-old professor of political science, and has been at an-Najah University since 1980. Imprisoned several times by the Israeli occupation, he is the author of dozens of books and papers, as well as hundreds of articles, on Palestinian politics and Islamic thought. But Qassem is also an eloquent and prominent critic of the Palestinian Authority (PA), and he has been arrested, and targeted by politically-motivated attacks, on a number of previous occasions. The most recent of these was in January of this year, when his car was set alight. According to a news report from the Palestinian news agency, Ma’an, claim of responsibility was circulated by an unknown group who accused Qassem of being a “mouthpiece for the Iranian and the Syrian regimes.” As reported by Asharq al-Awsat, Qassem pointed out how the statement was a “hoax,” and thus a cover for individuals who did not want to openly identify themselves. The attack was condemned by a variety of public figures “in the harshest possible words,” according to Ma’an. Israel’s controversial foreign minister leaves for Europe on Sunday, in the first official visit abroad by a member of the new right-wing government. Avigdor Lieberman is scheduled to visit Rome, Paris, Berlin and Prague – which currently holds the European Union’s rotating presidency. The visit comes at a time when EU-Israel ties are particularly tense. The EU wants Israel’s new government to endorse a two-state solution to the Israeli-Palestinian conflict. An ultra-nationalist Jewish settler in the occupied West Bank, Avigdor Lieberman has sparked controversy at home and abroad. The focus of his trip to Europe is to emphasise Israel’s message that a nuclear Iran would be dangerous for the world at large, not just Israel. But Mr Lieberman’s European counterparts are likely to press him on other issues, such as Palestinian statehood. There have been mounting calls in Europe to suspend a planned upgrade in relations with Israel until its new right-wing government publicly expresses support for a two-state solution to the Israeli-Palestinian conflict. If the suspension goes ahead Israel’s Foreign Ministry has warned the European Union it could lose its role as a broker in Middle East peace efforts. Mr Lieberman says the phrases “two-state solution” and “land for peace” should be abolished as they over-simplify a complex reality. He could well ruffle some feathers in Europe. But at the same time Israel’s President Shimon Peres has been sent to the US – Israel’s closest ally – to calm concerns. His planned message to the Obama administration: Israel still believes in peace. GAZA CITY, occupied Gaza Strip (IRIN) – Unexploded ordnance (UXO) and the uncontrolled dumping of rubbish pose the greatest environmental and public health risks to residents of the Gaza Strip, according to the UN Development Programme (UNDP). A further study is planned by the UN Environment Programme (UNEP). UN investigators are beginning a week-long meeting in Geneva, ahead of a mission to Israel and the Gaza Strip. The team is mandated to investigate possible war crimes committed by Israel and Hamas during Israel’s incursion into Gaza last December and January. But it remains unclear whether Israel will grant the investigators access to the former conflict zone. The team, which is led by South African judge Richard Goldstone, was appointed by the UN’s Human Rights Council. Other team members include a military specialist and a human rights lawyer. ‘Impartial’ In Geneva, the investigators will finalise the details of their mission – their task is to investigate, on the ground, possible human rights violations. This includes allegations that the Israeli military deliberately targeted civilians during the conflict in Gaza, and that the Palestinian militant group, Hamas, used civilians as human shields. Richard Goldstone has said his team will be impartial, but it is not yet clear whether Israel will co-operate. It refused to work with an earlier UN mission led by Archbishop Desmond Tutu. Mr Goldstone’s team hopes to leave for Israel shortly, possibly as soon as the end of this week. But unless Israel grants visas, access will be difficult. Israeli police have arrested seven Arab Israelis suspected of planning to carry out bomb attacks and kidnap soldiers. Police said the men wanted revenge for Israel’s offensive in Gaza earlier this year, which left an estimated 1,400 Palestinians dead. The men were detained earlier this month but details have only just been released for security reasons. Police who searched the suspects’ homes found explosives, the Israeli Haaretz newspaper reported. Police officials say the group had intended to kidnap soldiers from the Israeli Defense Force. Police superintendent Avid Agarissi told Israel Radio the suspects were charged with contacting “terror groups in Gaza” to train to kidnap civilians and build explosive devices. Israel’s Arabs comprise about 20% of the country’s population. Although they have full citizenship rights in law, many often say they suffer discrimination. A large majority of Israeli Jews support military action aimed at destroying Iran’s nuclear facilities, according to a survey sponsored by the Anti-Defamation League. According to the poll, co-sponsored by the Begin-Sadat Center for Strategic Studies at Bar-Ilan University, a large majority of those who support a move by the army said they would maintain their support even if the Obama administration opposed it. An overwhelming majority also said they believed close relations with the United States were essential for ensuring Israel’s security. The survey, administered by the Maagar Mochot research institute, involved 610 respondents, constituting a representative sample of Israeli Jews over the age of 18. Asked about military action against Iran, 66 percent said they approved of it, 15 percent said they were opposed and 19 percent said they did not know. Among those who said they approved army action, 15 percent said they would change their minds if the United States opposed it, while 75 percent said they would not. The rest said they did not know or gave other answers. Focusing on Israeli-U.S. relations in the Obama era, the survey revealed concern over possible erosion of U.S. support for Israel, and over a rapprochement between the United States and Arab countries at the expense of Israel. Sixty percent of the respondents said they had a “positive” or “very positive’ attitude toward President Obama. However, only 38 percent said they thought his attitude to Israel was friendly – in contrast to 73 percent of respondents in a 2007 poll, who defined the attitude of the previous president, George W. Bush, as friendly. The following article by Gideon Levy deals with the continued repression of legal civil opposition to the occupation, and the increase of public indifference to the breaking of law-breaking by the forces of ‘law and (dis)order’. Due toi the great impoortance of the issue, I include the whole article here. Last year, when an organization with the sickening motto “a true Israeli doesn’t dodge the draft” was founded, New Profile responded with another: “Think before you’re drafted.” Yes, it’s okay to think before you enlist, even in Israel. Yes, you’re allowed to think that military service in an army turned into an army of occupation is immoral. Yes, you don’t have to want to become a soldier automatically, even in Israel. And you can even support someone who believes that way. New Profile isn’t the first movement to deal with the issue of refusing to enlist. It was preceded by other left-wing movements, as well as some from the right. After Israel’s pullout from Gaza, the right also began preaching against enlisting in the army. But no right-wing rabbi has been arrested, no computer confiscated. The police have limited the activities of the leftist organization Anarchists against the Wall and raided the homes of its members. At a time when fascist-like crusades against artists who did not serve in the army are considered normal, it might be good to remember that a quarter of army-aged young people in Israel receive the army’s permission not to enlist, claiming that Torah is their craft. It’s time we appreciated opinionated youths – from the left and right – who decide not to serve in the army for ethical reasons and are willing to pay the price of their convictions. The IDF is strong enough without them. Israel is strong enough to tolerate those who think differently, even subversively. Maybe in due time they will be praised as the true heroes of our time. Words don’t kill, but police raids on political activists undermine our legal and moral basis. We must not keep quiet over the raid. Those who are silent now should not be surprised if one day they wake up and see the police outside the home of a poet whose message is forbidden. It was a pinpoint maneuver, timed for maximum impact just before the nation’s Memorial Day, designed to intimidate unarmed civilian idealists whose alleged crime is to steadfastly challenge the wisdom of the ruling military mindset in this country (by seeking to “civil-ize” it). New Profile is a movement founded mainly by women. It has been run for a decade in a fluid, egalitarian, non-hierarchical manner as a partnership of all its activists. No chain of command! Wow! Insufferable! The morning of April 26, 2009, police arrived at the homes of five of the activists to confiscate their computers, arrest the audacious perpetrators of free speech, and generally throw their Official Police Weight around. Reportedly they had search warrants (does that make it better, or worse?). Two of these five alleged free-speech perps are older professional women. The suspects were charged (with Promoting Mass Sanity? ), duly interrogated and finally, after several hours, released on bail… (here comes the part the police may blush to admit later) – on condition that they not talk to other women in the movement for an entire month! No phone calls, emails, or meetings! No talking, dammit! Ladies and gentlemen, think about it: No talking? Is this realistic? Is it even achievable? Women talk together; it’s what we do. – A whole month?? Consider who these New Profile women are and what they actually do. New Profile women work very closely together and have done for years. They devote long hours to their shared mission, as volunteers. So what’s it all about, this work? Many Israeli youngsters are deeply troubled about being forcibly conscripted into an army of occupation that rules brutally over 3.5 million disenfranchised neighbors. But an Israeli teen with doubts about the army cannot always talk to Mom and Dad. Too often, Mom and Dad have bought into the prevailing mindset that views the neighbors as a permanent existential threat and hence military service as an unfortunate necessity. The comprehensive brainwashing that begins in preschool is viewed as normal. Young Israelis who reject it may simply choose to emigrate, and legions have done so; but not everyone has somewhere to go. Meantime, the reality of serving in an army of conquest, routinely stomping on the human rights of others – that reality drives many conscripts to go AWOL or even contemplate suicide. This sort of thing is probably more prevalent than we realize, since the army, for obvious reasons, prefers to keep the lid on. New Profile evolved to counter that reality with dialogue groups, presentations, exhibitions, one-on-one counseling, printed literature, a web site, etc. All of that is designed to provide an internationally accepted human rights context for the dilemmas faced by IDF conscripts– a countervailing voice to the dominant military madness. As a force for suicide prevention alone, the New Profile activists are quite possibly saving dozens of young lives a month. They should get a medal! WASHINGTON – Pouring rain did not prevent more than 6,000 people from attending Sunday’s opening of the annual AIPAC conference in Washington, which is considered one of the city’s 10 biggest political and media events. Politicians, academics, Jewish community activists and more than 1,000 college students came to participate in the dozens of panels and workshops hosted by the American Israel Public Affairs Committee, a leading pro-Israel lobby. The topics ranged from “lobbying for beginners” to various scenarios for both the future of U.S.-Israel relations and developments in the Middle East. Because this year’s conference coincided with a new administration in Israel, there were more former decision-makers than current ones present. However, President Shimon Peres will attend Monday’s conference session, which will focus on the Iranian nuclear threat, and Prime Minister Benjamin Netanyahu will address the gathering by video tonight. Neither U.S. President Barack Obama nor Secretary of State Hillary Clinton – both of whom attended last year’s AIPAC conference as presidential candidates – will address the gathering this year. Instead, the U.S. administration will be represented by White House Chief of Staff Rahm Emanuel. Several leading congressmen will also attend. Michael Oren, the noted historian who is slated to be the next Israeli ambassador to the U.S., appeared Sunday on a panel about Israel’s “cold peace” with Egypt and Jordan. But he opened his remarks by stressing that since the cabinet had yet to formally approve his appointment as ambassador, he was addressing the gathering strictly as an academic. The hottest topic in the corridors was Iran’s nuclear program and how Israel would respond, and this also got plenty of attention in the official program. “Israel will not allow Iran to obtain nuclear weapons,” Oren told lobbyists. Oren, a noted historian, was quoted as saying that Israel would not remain passive while a regime that has sworn to wipe it off the map acquired the means to do this, referring to comments made by Iranian President Mahmoud Ahmadinejad. At another panel discussion yesterday, former deputy defense minister Ephraim Sneh bluntly told participants that time was running out: Based on what Israel knows about Iran’s progress, he said, the deadline for a decision is now. Israel, he added, has an “operational solution” to this program that it can implement on its own, without the permission or support of any other country. However, since any Israeli military action would surely provoke Iranian retaliation, military action is a last resort, he said. The number of Palestinians forced to provide information before being let out of Gaza for medical treatment is rising, an Israeli group has reported. In the first three months of 2009 more than 400 patients were interrogated, Physicians for Human Rights says. They say Israeli security services are involved in a systematic attempt to recruit Palestinians as collaborators. Israeli officials say they are carrying out security checks to ensure those entering Israel do not commit attacks. Spokesman Mark Regev told the AFP news agency that 13,000 Palestinians are treated in Israel each year. However, Physicians for Human Rights says Israel also interrogated children, detained patients for undisclosed periods of time, and intimidated them during interrogations. Those who did not co-operate were refused permission to leave Gaza for treatment, the group says. Between January 2008 and March 2009 at least 438 patients were summoned for interrogations at Erez Crossing, the main crossing point for people between Israel and Gaza, the group says. The data collected by the group has been presented to the Geneva-based UN Committee Against Torture. “The data points to an increase in the ratio of the number of interrogations to the total number of applications submitted to the authorities at Erez Crossing,” the organisation says. The process of referring Palestinians in Gaza for medical treatment in Israel, or further afield, is a complicated one. 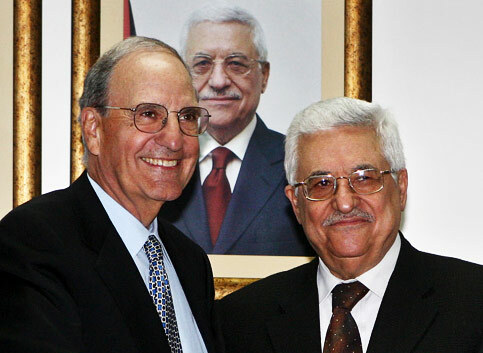 It was administered by the Palestinian Authority even after Fatah, the faction led by Palestinian Authority President Mahmoud Abbas, was ousted from Gaza in June 2007. Earlier this year the World Health Organisation warned that the feud between Hamas and the Palestinian Authority was putting at risk the lives of critically-ill Gazans. This followed the takeover by Hamas officials of the office that ran the referrals process in Gaza. Because Israel refuses to deal with Hamas, which it considers a terrorist group, this effectively closed down the referrals process. Hamas officials have long maintained that the process is inefficient and corrupt.